Learning Targets: Research and Connect to a career in photography that you are interested in learning more about. Create a series of images shot in the style of the photography career field that you've researched. Develop a complex concept and composition that explores your chosen career style photography. Present a final series of 5 images within your final EXAM presentation (digital only, not printed) that illustrates the concept and career field. Monday: Wiki and Bridge Check Due TODAY!! Have rubric completed for our meetings. Work on editing your 5 Career Photos. Work on your exam. Wednesday/Friday: Work time to complete your 5 Career Photo edits and your EXAM presentation. Last day to turn in any late, missing or incomplete work is Friday January 13th. Tuesday: Photography in the Real World- Click here for details on your next unit. Learning Targets: Create a unique portrait of a place using knowledge of lighting and composition to evoke a specific mood. Utilize an alternative printing process to create a final unique art print for your portrait. Present and Respond to student art work through verbal and written critique process. Monday: Last in class day to finish Portrait of A Place Images. Make sure you have the following completed for Wednesday's Critique. Scan your final POP image and put in the B1 or B4 Portrait of A Place Folder for critique. This is the image you will upload to Google for critique along with the original edited image. Wednesday: Critique of Portrait of A Place: See requirements above for details. Next Unit: Photography in the Real World- Click here for details on your next unit. Edit images to the correct size adjusting as discussed for each process. Prep substrates you've chosen for printing processes you've decided to work with. Be careful for chemicals and other materials, handling and cleaning up properly. Tuesday: Bridge and Wiki check for Portrait of a Place. How to Work with Various processes with the equipment in the class room. Tour of supplies. Monday-Friday: Introduction to Portrait of A Place Unit. Use the Portrait of A Place wiki to develop your ideas for this project. Start checking out cameras to do your photoshoot. Once you've read wiki, watched all the embedded videos and clicked all the links go to this wiki page to do your own research and develop your idea. Follow directions on the page and make sure you have thoroughly written a proposal that answers all of the questions. Photoshoot: Shoot 24-36 images for your Portrait of A Place. Wiki and Bridge Check will be Tuesday December 6th. Make sure you have completed a Bridge/Wiki Rubric for our meeting on the 6th. Tuesday and Thursday: Edit and complete 3 best portraits. Mat for critique. One artist statement for the collection of 3 final portraits. Make sure you address the required questions and explain how you made your portrait a work of art that goes beyond selfie....CONCEPT! ​Learning Target: Present and Respond to student art work through verbal and written critique process. Monday 11/7: Finish wiki research started last week. Class photo-shoot in studio and around campus. Make sure you have shot all 6 lighting techniques and various compositional techniques. Artificial: dramatic studio lighting, bounce and fill, flash or any other electronic light source that is different from the studio lights. Bridge and Wiki check will be due Wednesday, November 9th. Have 36 portraits shot showing 6 different lighting techniques and varied compositional techniques. Have wiki research completed and rubric completed. Make sure you have addressed the questions and that these go beyond selfies. Friday 11/11: Work on editing 3 best portraits for final printing and critique. Tuesday: Portrait Unit. What makes a good portrait, a true work of art, vs a selfie? Look at examples and discuss portraiture. Thursday: View Portrait powerpoint discussing how to shoot a successful portrait with artificial and natural lighitng sources. Class photo-shoot in studio. Upload images to computer. Monday 11/7: Finish wiki research started last week. Begin editing your portraits shot during class on Tuesday. ​Learning Target: Create photographic works that explore alternative printing processes that utilize the sun as development source. Respond to art history and research to develop skills with Cyanotype and alternative photography. Create imagery that continues perfecting photo shooting techniques. Monday and Wednesday: Continue with Cyanotype printing. Scan your finished prints and edit and save to your directory and Google Folder for our class. Start working on artist statement and mounting your print. Friday: Cyanotype Critique. Have the following prepared for critique. Please have your cyanotype scanned and uploaded to B1 Google class folder or B4 Google Class Folder along with your artist statement. Complete an art project rubric for critique. Make sure your work is matted. Tuesday: Continue with the Cyanotype process, making negatives and prints. If you never finished your wiki work on this during the in between times. You will be doing research on a new technique and unit called Alternative Photography. Please click the links here and read/click and watch all embedded content on each of the wiki pages. Remember that you are responsible for knowing all of the details about the cyanotype process. Watch all of the embedded videos and click all the links. ​What is Alternative Photography? 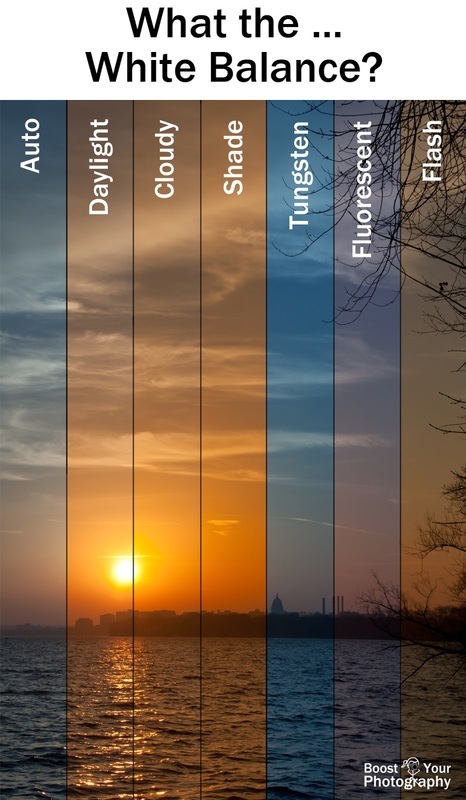 How can the sun act as a photo exposure system? After you've read the wiki research pages develop your own response to Cyanotype by posting on the Cyanotype Research Page and linking your name to the page you create. You will post your research details here. If you finish your wiki research and page design begin working in Photoshop to begin editing the 2-3 images you have chosen as possible cyanotype prints. These images need to be prepared to become Digital Negatives and eventually cyanotype prints. See the WIKI page for the step by step Photoshop process. Wednesday: Demonstrate Making a Negative and Making a Cyanotype Print. Get started on your own files. Edit them to have good range of value as discussed in your research. Have 2-4 images ready to go. Create your negatives by creating an 8.5 x 11 300 dpi file and placing the finished images (negative version) onto this. This should be named: your name- print transparency or your name-print negative as this will become your negative. You get one transparency that is 8.5 x 11. You can do one of the following layouts. Once you've set up and saved your negative layout you are ready to print. Remember to load the transparency film with the cut side facing the upper right side and the film loaded portrait (vertical). Follow the normal directions for printing, choosing glossy as your media to print on. Friday: Continue with creating Cyanotype negatives and prints. Present and Respond to student art work through verbal and written critique process. Click the button below for details on this unit. Monday 9/26: Prairie Photo Shoot maybe......Work days to edit and complete your Texture Combine 3 project. Discussion of Texture Combine 3 Details of project and expectations for completion. See wiki for details. Work time to edit photos. Wednesday 9/28: Editing images and creating Wiki Page with images on it. Friday 9/30 Editing images and creating Wiki Page with images on it. Prepare for Critique...see below. Make sure you've put your Google Research Doc into the folder for your class. Once you've finished reading you will be working with a partner to design a wiki page that answers the questions about your research. Use the Wiki Page here to continue your assignment. Create a WIKI page that shows your understanding of the research. Make sure to answer the questions thoroughly and specifically. See the UNIT 1 Wiki Research Rubric below for details on how you will be graded. Make sure Yours and your partner's name appear on the page and as the link for your class. Wednesday 9/14: Finish wiki research making sure your page is linked with yours and your partner's name. Introduction to the DSLR in small groups. After you've clicked the above links and bookmarked all, come back to the Class Wiki. Go to the class Wiki and log in using the wiki login you were given last class. As you read take notes and save a Google Doc to the class Google Folder. In your notes answer all the analysis questions from the pages you are reading. This is a great tutorial on white balance and the color of light. Check it out!